- by far my favorite phone so far. This was what phones were meant to be, barring their current use as phone+computers. This one simply worked for everything it was supposed to do. If for some reason it doesn't automatically load at startup, I can't do anything until I find it and start it up again. Make's launching applications a breeze; I haven't started to do anything else with it yet. Local record of every website you go to. Helps with offline browsing and simply remembering what you've been doing. Unfortunately, it also takes up a lot of disk space. Slife - Part of anyone's complete Life Tracking system. Tracks your computer activity, including all websites you go to and emails you read. Combine with GPS and entry-based time tracking and you're well on your way to Life-Tracking paradise. Fatter than the Nokia 1100, I did not like this phone as much, but its Nokia OS could still do things that my "smart"-phone today still can't do (or, things that I can't figure out how to do) - like send address book information via SMS. 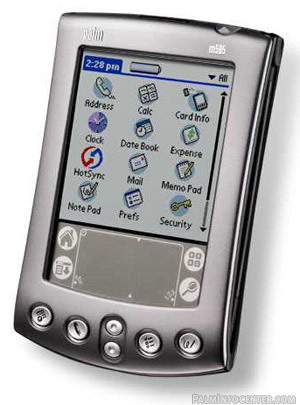 I have to use copy and paste to do that with my Palm Centro. Update in 2013: I still have to use copy and paste to do this with my iPhone 4. . .
- Ran Verizon's Assisted GPS navigation software which was quite nifty. Great for party tricks such as bouncing it off asphalt, dunking into hot chocolate, skipping on the lake, and throwing it into Biola's fountain. It finally broke when I went surfing with it, though to this day I don't know if it was the surfing, or trying to charge it directly from a spliced USB cable. (I shorted and overdrew power on my MacBooks USB port several times in the process). Moral of the story: Never forget your cell phone charger. And read the internet before you try something risky. - This could do scheduling, note-taking, and hold an ESV Bible - and the handwriting recognition was wonderful. Didn't like the handwriting recognition as much as the Zire (it was a serious step back! 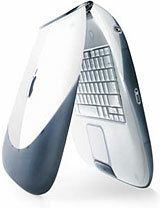 ), but I got a keyboard for it that worked wonders - until it broke in Oxford. Shortly followed by the M130 itself when I slept on it on the hard floor at CDG (Charles De Gaulle Airport). - Note: 1 hour time difference between England and France, non-existent/too soft/or unintelligible boarding calls=missed flight, broken Palm M130. I double-checked on my way back and. . . I think CDG is the worst airport for this that I've ever been in. - multitasking, MP3 player, skype - finally in a cheap, compact form. Not so hot on the productivity apps though. - Nice replacement for the M130. Think I liked the M130 better though. Unlocked AT&T GSM version works fine in Kenya, and for the first time, I used data with it. EDGE is good on Zain Telecom, and I was amazed to find the built-in Web Browser and eMail applications could handle SSL IMAP and secure website connections. 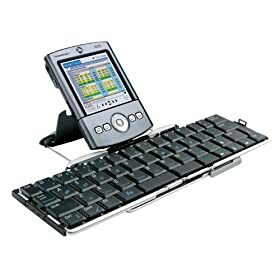 With OfficeToGo, it's a complete mobile computer. - Office to Go: Word, Excel, PPT, and PDF (PDF is slow). - eMail - Palm's built-in mail application. - Google Maps - Location within 900-2500 meters; anyone who can read a map can get around in Nairobi with this one. Still going strong after 3 years of use, this keyboard works better with my iPad and iPhone than it ever did with my Palm Centro. However, it does take a couple of seconds to pair each time I open it up and press a key. Don't know if that's a problem with the keyboard or with iOS. 80GB is a very small drive to go down to from 250GB , but I made it work, with a whole lot of work. . . Yes, the 3G, not the 3GS, so no GPS. 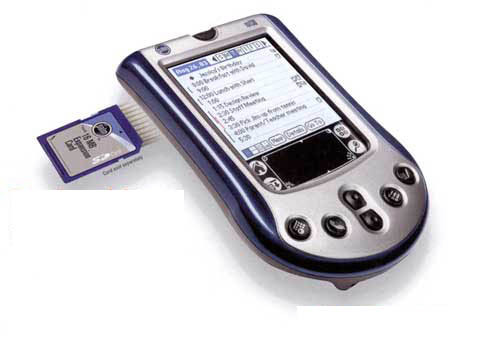 By the time I bought it (used, of course) the latest version of iOS ran pretty slow, and the wifi never really worked, but it was such a leap forward compared to the Palm Centro that I forgave it for everything.